Chill in Air = Afghans! 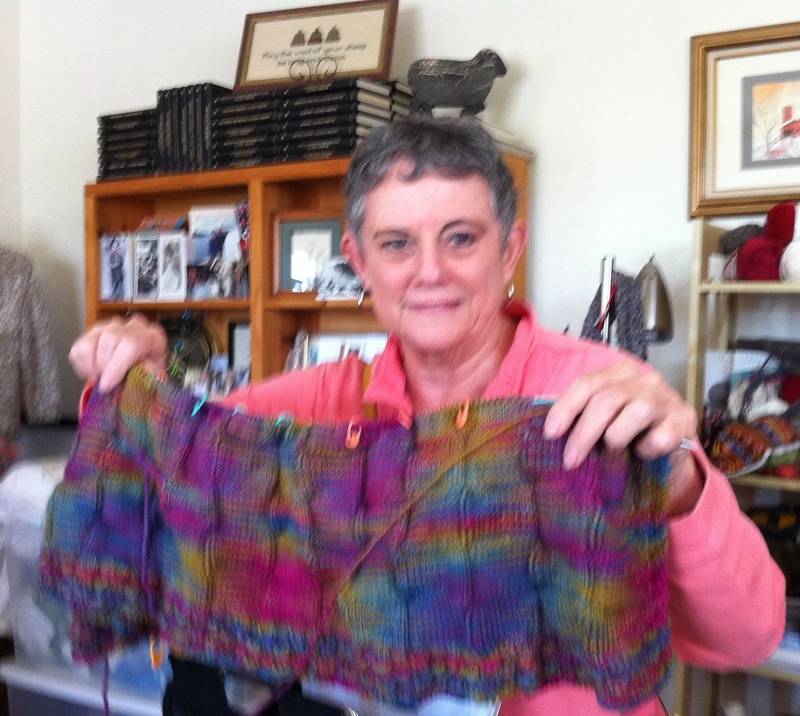 There are several afghans/blanket in the making in the Skein Lane knitting circles. Here is a sampling. 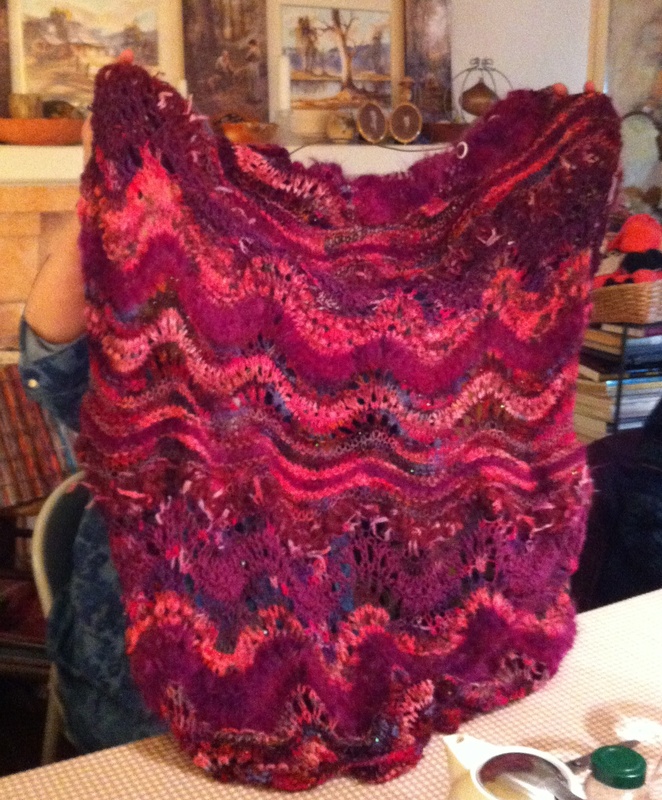 Debbie is knitting another “Absolutely Fabulous” afghan using yarns from her stash. Diane knit this for a baby in her boyfriend’s family. 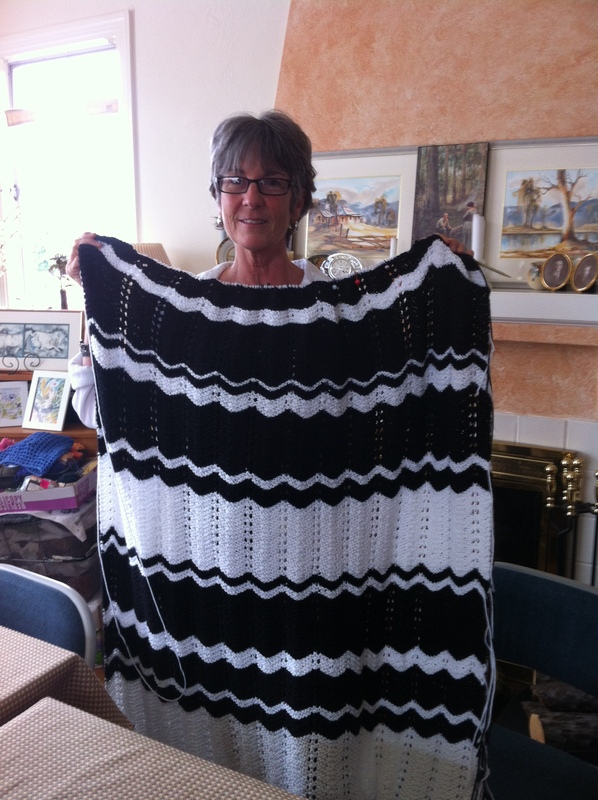 This lovely blanket is to knit to move from crib to bed as the baby grows! 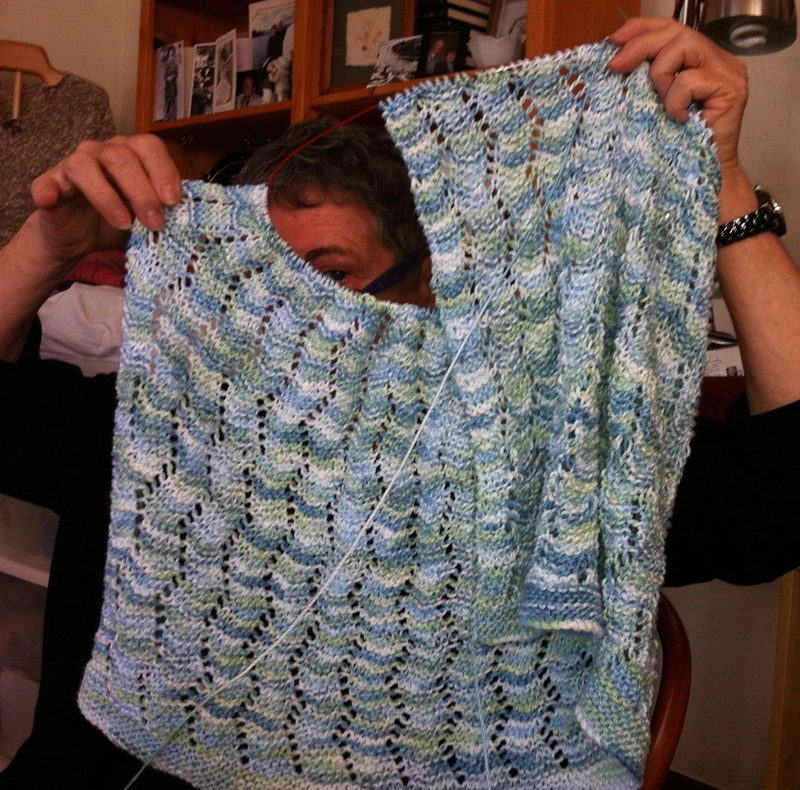 Marsha is knitting this for her expected new grandchild. 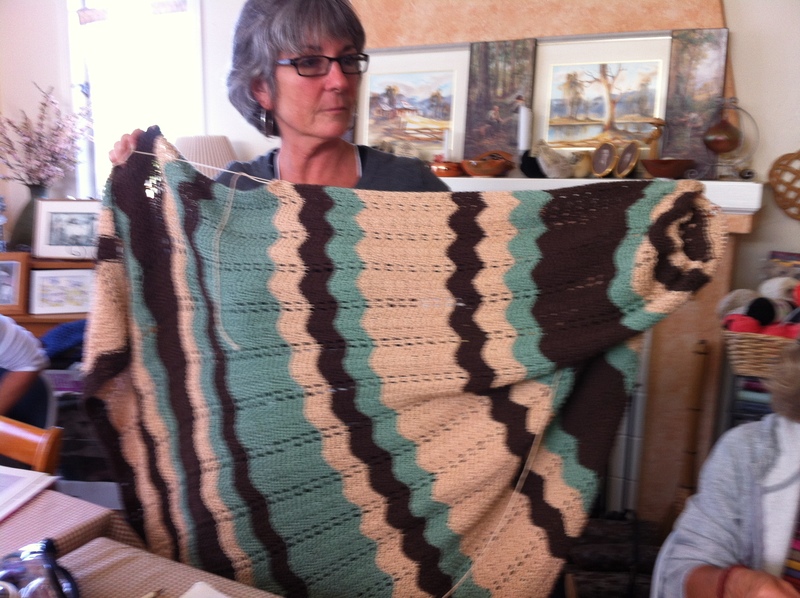 Marsha has the beginnings of her next afghan! 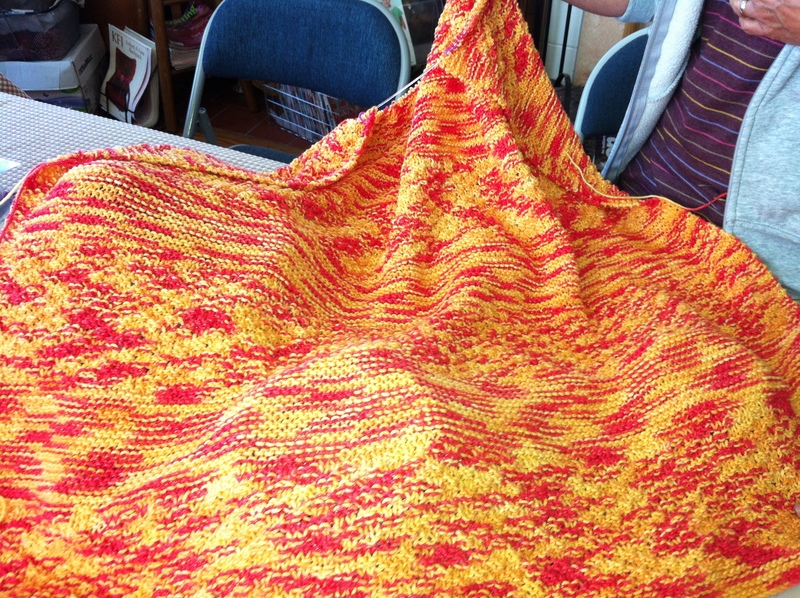 This variegated blanket is for Susanne’s co-worker. Some of the yarns used include Brown Sheep’s Cotton Fleece and Lorna’s Laces’ Shepherd Super Worsted.